Composition shingles – a lightweight, but durable roofing solution, composition shingles use multiple layers of material that include a weathering-grade layer, a mat for reinforcement made from resistant fiberglass, mineral granules on the top surface and an adhesive strip on the bottom to make sure the shingles resist any weather and are securely fastened to the roof. 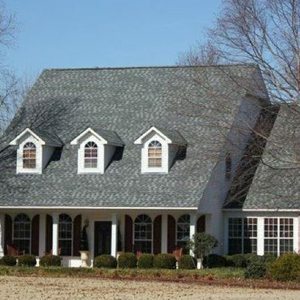 The best way to find out what roofing product is good for your home, is to contact a Fayetteville roofing contractor with product knowledge, as they have much experience in working with all the different types of roofing materials. This entry was posted	on Friday, November 3rd, 2017 at 10:45 am	and is filed under Uncategorized. You can follow any responses to this entry through the RSS 2.0 feed. Both comments and pings are currently closed.